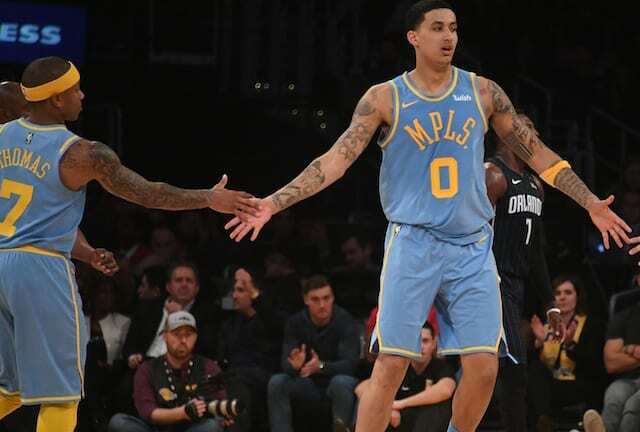 The expected announcement was made official when the Los Angeles Lakers schedule for the 2018-19 season was released, pitting them against the defending champion Golden State Warriors on Christmas Day. This marks the first time the Lakers and Warriors will square off on the NBA’s marquee day, but for LeBron James, it’s a fourth consecutive season in which he’ll see the Warriors. 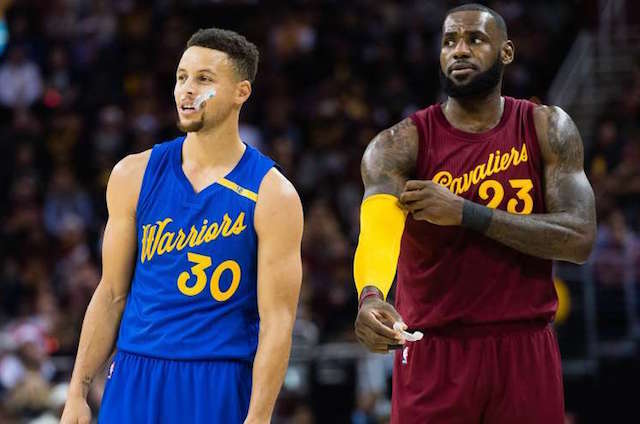 Considering James led the Cleveland Cavaliers to four straight NBA Finals appearances against Golden State, it makes sense that the league would pair them against each other on Christmas. But even in with his new team in Los Angeles, James can’t escape Curry, Durant and co. James has gone 1-2 against Golden State, coming out victorious in the one game held in Cleveland, while falling in both road contests. Their first Christmas Day matchup came in 2015, when James and the Cavs fell 89-83. He led the way with 25 points and nine rebounds, but got little help from the supporting cast. The Warriors, in the midst of a ridiculous 28-1 start to the season, were led by Draymond Green’s 22 points, 15 rebounds and seven assists. It was a defensive struggle in which the teams shot a combined 10-of-48 from deep. The opposite was true the following season in which James led the Cavaliers to a 109-108 comeback victory at Quicken Loans Arena. James had 31 points and 13 rebounds while Kyrie Irving added 25 points, 10 assists and seven steals. Kevin Durant led the Warriors with 36 points and 15 rebounds, but the lasting image was him being on the wrong side of a Richard Jefferson poster dunk in the fourth quarter. Meanwhile, last season was James’ worst performance of his Christmas showdowns with the Warriors as he scored just 20 points on 7-of-18 shooting and turned the ball over seven times in a 99-92 loss. Making matters worse was that the Warriors were without Stephen Curry who was dealing with an ankle injury. While this may be the first Christmas matchup between the Lakers and Warriors, there has been a bit of a rivalry brewing over the past few years. The Lakers own double-digit wins over the Warriors in each year from 2015-17 and gave them everything they could handle in each of the four games this past season, even though they were unable to gain a victory. That combined with James’ history should make for an intense matchup once Christmas Day hits.